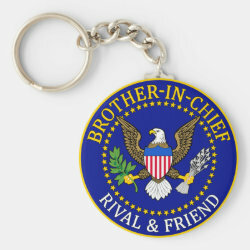 This funny design features an official seal of the Brother-in-Chief with the text Rival & Friend below. It's a funny design that looks like an official More... US government seal with an eagle in the middle. 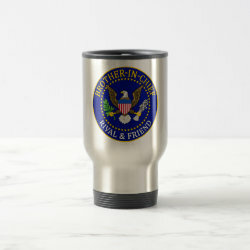 This will make a great gift for your brother's birthday, as a Christmas present or any other day of the year.